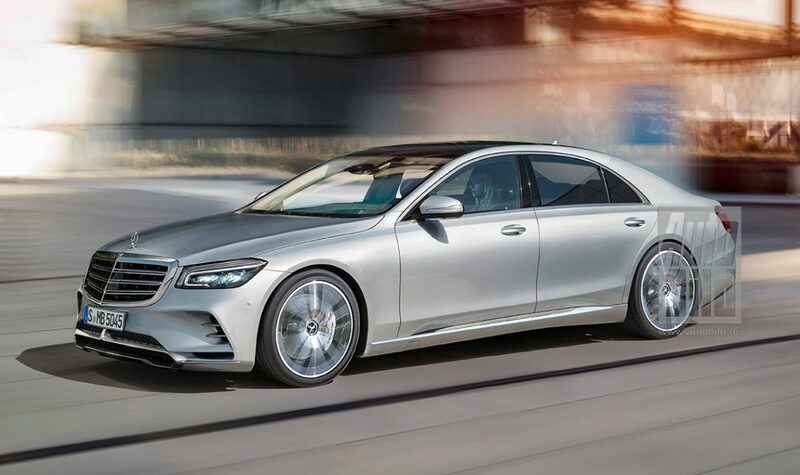 Mercedes has set itself the objective of introducing Autonomous Level 3 technologies on the next-generation 2020 Mercedes-Benz S-Class, and these will be available as an option. The Audi A8 became one of the first models in the luxury segment to be available with Autonomous Level 3 and Mercedes and BMW rivals are also hard at work to develop such systems. Autonomous driving on Level 3 (Tesla Auto Pilot is Level 2, e.g.) means “conditional automation”: the driver no longer needs to be fully alert while driving, but should still be ready to take control of the vehicle in certain cases when alerted to so – in theory you can just watch a movie or update your e-mail. At Level 2, the driver must remain engaged with the driving task and monitor the environment at all times. Mercedes intends to introduce such technologies on the next-generation S-Class, scheduled for 2020, according to statements made by Ola Kaellenius, currently head of Mercedes’ development department and from next year the successor of the famed moustached CEO Dieter Zetsche. “We’re about to jump to Level 3, and that’s our goal for the forthcoming S-Class. It’s something you can buy as an option”, he said. In the years after the launch of the new S-Class, the new technology will undoubtedly filter down the range to models like the C-Class and the E-Class. In turn, BMW will launch such technologies for the iNext electric series, which will be launched on the market in 2021. For the time being, drivers can not make full use of Level 3 technologies as they are not yet harmonized with the legislation. However, it is anticipated that when road legislation will allow the use of autonomous technologies of level 3, there will already be several models of this kind on the market. According to unofficial information, the new generation 2020 Mercedes-Benz S-Class will also integrate the MBUX infotainment system that debuted on the new A-Class and was also implemented on the new B-Class, but also a technology capable of recognizing the gestures made by the driver or passengers.